Worldwide spending on digital transformation (DX) technologies will reach US$1.2 trillion in 2017, with increased investment creating new opportunities for the channel. Representing a healthy 17.8 per cent boost from 2016, IDC findings report that total market value will top US$2 trillion by 2020. “Changing competitive landscapes and consumerism are disrupting businesses and creating an imperative to invest in digital transformation,” IDC Program Director, Eileen Smith, observed. Of the US$1.2 trillion spending in the year the ahead, discrete and process manufacturers will contribute almost 30 per cent, with the fastest growth expected to come from retail, healthcare providers, insurance, and banking. From a partner perspective, the technology categories that will see the greatest amount of DX spending in 2017 are connectivity services, IT services, and application development and deployment (AD&D). Combined, these categories will account for nearly half of all DX spending this year. However, investments in these categories will vary considerably from industry to industry. “The discrete and process manufacturing industries, for example, will invest roughly 20 per cent of their DX budgets in AD&D and another 12-13 per cent in IT services while the transportation industry will devote nearly half of its spending to connectivity services,” Smith explained. Both locally and globally, the fastest growing technology categories associated with digital transformation over the five-year forecast are cloud infrastructure (29.4 per cent), business services (22 per cent) and applications (21.8 per cent). Furthermore, IDC report that AD&D spending will grow fast enough to overtake IT services as the second largest DX technology category by 2020. “More than half of all DX investments in 2017 will go toward technologies that support operating model innovations,” Smith added. “These investments will focus on making business operations more responsive and effective by leveraging digitally-connected products/services, assets, people, and trading partners. Smith said the second largest investment area will be technologies supporting omni-experience innovations that transform how customers, partners, employees, and things communicate with each other and the products and services created to meet “unique and individualised” demand. In line with increased spending, the DX professional services market is expected to grow 21.9 per cent alongside, reaching an estimated US$16.5 billion by 2020. Specifically, this growth will be largely driven by the cloud-related DX professional services. According to IDC, the DX professional services market contains four major segments related to cloud, analytics, mobile, and social business, but these segments are not strictly discrete as a huge overlap of these four enabling technologies can occur. 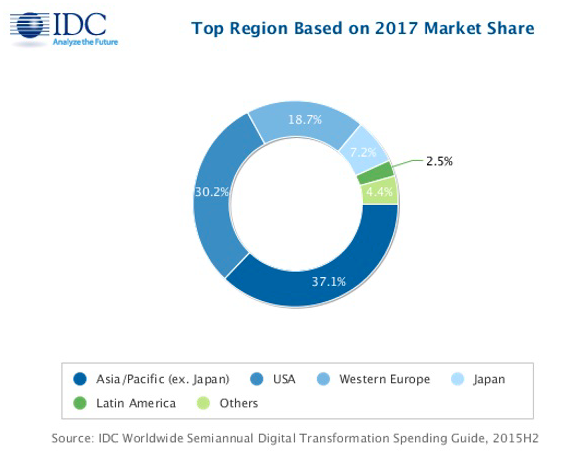 “In spite of the spending in digital transformation professional services market levelling off, this market is continuing to grow in the region,” IDC Asia Pacific Business and IT Services Senior Market Analyst, Sherrel Roche, added. Regionally speaking, in Asia Pacific, the pace of DX is accelerating with 62 per cent of organisations adopting DX technologies in some form or the other. Leading organisations such as Commonwealth Bank of Australia and Air New Zealand have already made solid progress in leveraging 3rd Platform technologies - cloud, analytics, mobile and social technologies - and transforming key processes and operations for better experiences, services, and products. 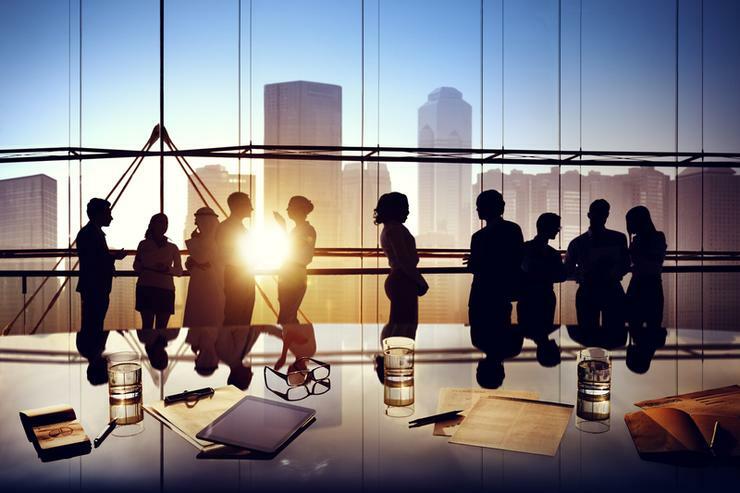 “Other organisations, however, are just starting to explore how process transformation, res-killing, or new technology solutions can transform their businesses,” Roche added. For service providers to be successful in the region, Roche said they must “intensify their focus” on digital transformation and set up a "digital" business unit that focuses on a customer's “end-to-end digitalisation and industrialisation journey” across the whole organisation. Furthermore, Roche said there is a necessity to create "innovation labs," which are usually an ecosystem that combines internal resources of an organisation with technology vendors, start-ups, specialist consultancies, and IT service providers. “These ecosystems of "co-innovation" will encourage the creation of new technologies and services through wider collaboration,” Roche added. Where will HPE’s Pointnext launch leave local partners?